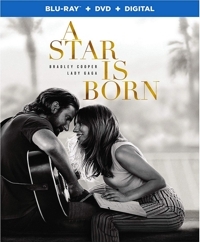 Here’s another R-rated movie that families with teens are going to want to watch, because Lady Gaga is the female lead. 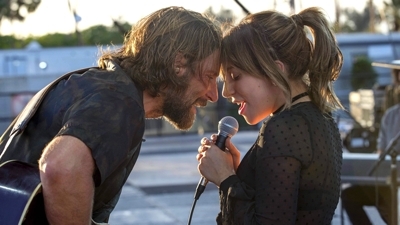 And A Star Is Born is a good one, earning an Oscar nomination for Best Picture—though Bradley Cooper reportedly said he was “embarrassed” not to get a Best Director nomination. Well Brad, you’re not the only one. The directors of Green Book, Bohemian Rhapsody, and Black Panther share your pain. But hey, Lady Gaga got the nom for Best Actress, and you for Best Actor, Sam Elliott for Best Supporting Actor, Lady Gaga et alia for Best Original Song (“Shallow”), plus nominations for Best Sound Mixing, Best Adapted Screenplay, and Best Cinematography? Come on, Brad. Eight Oscar nominations for your first directed feature isn’t anything to be embarrassed about. The Captain (2017) isn’t a movie for kids. Then again, neither is Schindler’s List, which my daughter saw in her 10th grade history class during their discussion of the holocaust. Both are films that stay with you, and for the same reason: mass executions by Germans during WWII. 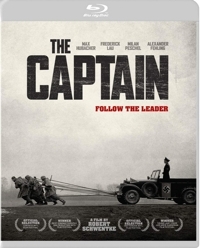 Except that The Captain isn’t a holocaust film. Set in Germany during the final months of the war, it’s based on the true story of Willi Herold, who became separated from his unit and may or may not have deserted. 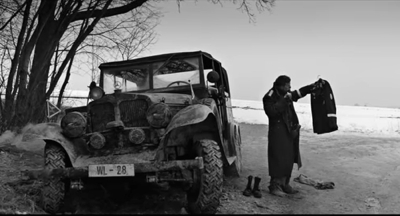 In the film, as in real life, he stumbles onto an abandoned staff car in which he finds a suitcase containing the uniform of a Luftwaffe captain. After celebrating his good fortune he dons the uniform. And putting it on and acting the part begins to have the same effect on him as the ring did on Gollum. 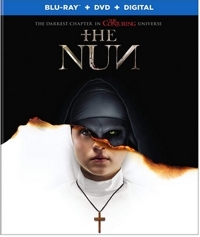 The Nun ends right before The Conjuring begins, but you don’t have to have seen that film, The Conjuring 2, or the related Anabelle and Anabelle: Creation to understand what’s going on. This horror prequel is a stand-alone film set decades before the hauntings from the other films in the popular franchise. 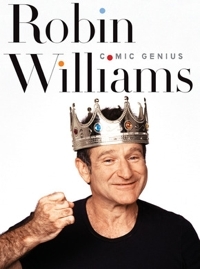 Time Life is known for their sets and collections, and this four-volume, four-DVD, 22-disc set featuring Robin Williams: Comic Genius is thankfully uncensored. Except for 11 episodes of Mork & Mindy, it’s one for the parents to watch after the kids are in bed, or for families with older teens—especially the ones who have ambitions of pursuing a career in entertainment. 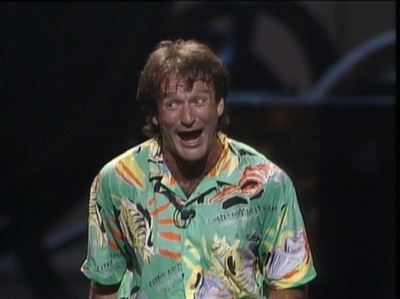 You walk away with an appreciation for how Williams went all out and wasn’t afraid of a joke or an impression bombing. He just quickly went on to another one and hoped for better results. He did his own thing. Anyone who’s watched Williams perform knows that his 100-mile-an-hour mind and manic improvisations can’t be bridled. He says whatever comes to mind at such a rapid clip that to try to censor his performances would be like trying to stop a runaway truck with foam blocks. Though Tag is rated R—mostly for language (lots of f-bombs)—teens have been flocking to see it with their parents. 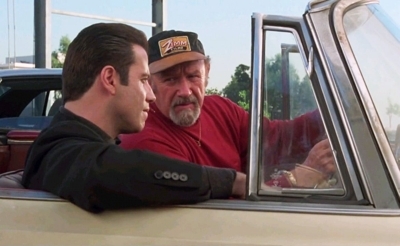 After all, it is a movie about a kid’s game, and who hasn’t chased after someone on the playground or in the neighborhood in order to tap them and shout, “You’re it”? And how fun is it to see a children’s game elevated to the same, crazy, go-for-broke level of prom invitations? 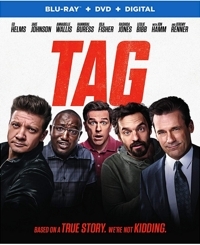 Tag is a relatively plotless comedy that relies on the game and hijinks to sustain viewers’ interest for the entire 100 minutes. It stars Ed Helms, Jake Johnson, Annabelle Wallis, Hannibal Buress, Isla Fisher, Rashida Jones, Leslie Bibb, Jon Hamm, and Jeremy Renner. Renner plays the never-been-tagged super player that suddenly all the others want to join together to bring down—even though (or especially since?) he’s getting married during “tag month.” As you probably heard, Renner broke both of his arms on the second day of filming while trying to climb a stack of 20+ chairs. The rigging broke and he went down hard, but in the film it looks as fun as the rest of the elaborate stunts that these childhood friends have been pulling in order to tag each other for nearly 30 years. The game, no doubt, keeps their minds sharp and their bodies fit. But mostly it gives them a chance to keep in touch—literally. Credit The Wall Street Journal for bringing these guys to the public’s attention with a January 2013 front-page feature that led to notoriety and eventually this film from Warner Bros. and TV series/movie director Jeff Tomsic. 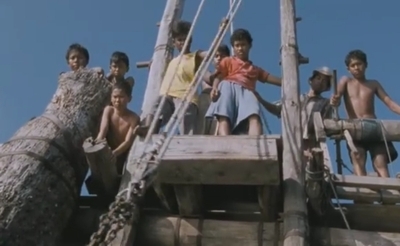 You haven’t seen another film in the world like Jermal, a 2008 Indonesian production with English subtitles about a group of young teenage boys who live and work on an isolated fishing platform in the middle of the Malacca Straits off North Sumatra. It’s an absolutely unique, vicarious experience that almost dwarfs the coming-of-age / father-son themes that shape the plot—or rather, situation, since this is a character- and situation-driven film. Fishing platforms or “jermals” may be common in Indonesia and Malaysia, but no one before directors Ravi L. Bharwani and Rayya Makarim has ever thought to shoot a drama on one of them. What we see in the beautifully filmed Jermal is a high level of realism that extends to the actors—or rather, non-actors. 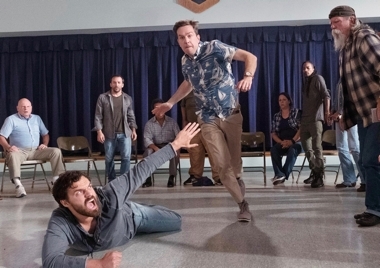 The directors said that many of the nine boys that appear in the film were actually working already on the jermal that the filmmakers inhabited for 30 days. Though work on a fishing platform is tough and the conditions primitive, no experience is necessary. Because of their isolation they’re often a refuge for people on society’s fringes. If the movie is any indication, authorities don’t seem to mind that children under 18 are working on them, and the directors said that they knew of several other jermals in the area—one of them occupied by convicts, one by runaway children, and another by children sent by their parents to work (one less mouth to feed).